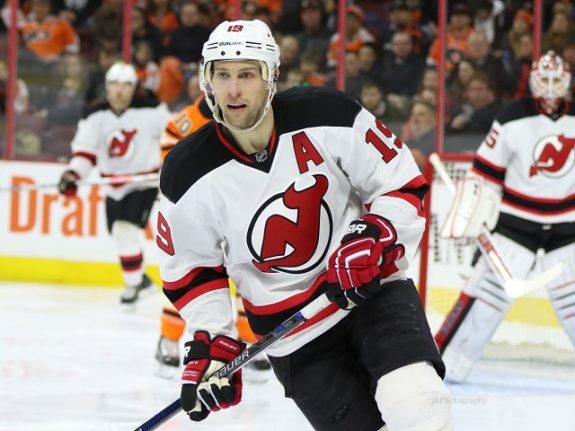 SUNRISE, Fla. — Travis Zajac scored the winning goal on the power play in overtime, lifting the New Jersey Devils to a 4-3 victory over the Florida Panthers on Saturday night. Hoffman tied it at 3 on his shot from the high slot that beat Blackwood with 1:25 left in the third. Hoffman recorded his 300th NHL point on the goal. The Devils took a 3-1 lead when Zacha easily got past defenceman Aaron Ekblad and flipped the puck into the net with 5:31 left in the second. Bastian stretched the lead to 2-0 when Egor Yakovlev made a nice centring feed and Bastian redirected the puck into the net at 7:41 of the second. NOTES: The Panthers have three 30-goal scorers (Hoffman, Barkov and Huberdeau) for the first time in franchise history. … F Jamie McGinn and C Denis Malgin each played Saturday. McGinn was a healthy scratch the past four games, and Malgin the past two. … Devils forward Brett Seney played his first game since Feb. 23 after being recalled from AHL Binghamton. … Zacha celebrated his 22nd birthday Saturday. Both the Devils and Panthers head into the off-season after failing to make the playoffs.